Many people mistakenly believe that you can set up a marijuana dispensary like any other business for which you can deduct ordinary operating expenses. Unfortunately, Section 280E of the Internal Revenue Code provides that businesses that deal in “trafficking in controlled substances.” may only deduct costs of goods sold from revenue, which makes a huge difference come tax time, as a cannabis company will be unable to take deductions available to every other business in the country. For example, under Section 280E, a marijuana dispensary cannot deduct overhead costs such as rent, utilities, and administrative and marketing expenses. At the core of this provision, of course, is marijuana’s illegal status at the federal level. Even if its use and sale is permitted in your state, the end result is that marijuana dispensaries are still taxed on gross income as opposed to net income, like other businesses. 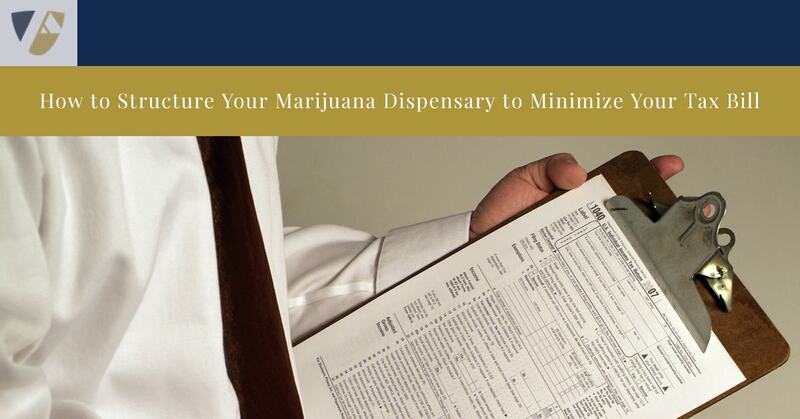 The IRS’s stance on marijuana dispensaries certainly makes it more difficult to turn a profit, but it’s not impossible with forethought and planning regarding both the structure of your business and accounting procedures to reduce your tax bill. Set up your business as 2 businesses, the dispensary and a second legal business that is legal in the eyes of the federal government. Your first step is to structure your business so that it isn’t simply a marijuana dispensary. You must set up a second, legal business, at the same time and same place. Most importantly, you this second business must actually sell something else, not simply offer complimentary goods or services. So, for instance, you might set up a cafe that sells coffee and food as well. The intent must be to make the second business profitable (even if you fail, this intent and effort is key from a tax perspective). Allocate time and expenses accordingly to avoidas an audit should be anticipated. Consult with a tax professional. Even if you’ve successfully set up your business as described above, it’s advisable to talk with a tax professional to make sure you’re following the law as well as keeping as much of your hard-earned cash as possible when you file your tax returns. If you’d like to discuss your business structure to ensure it’s set up well regarding tax obligations, send us a message or call us at (314) 454-9100 today.